George is having surgery today, so I’m setting up a few blog posts ahead of time. Any thoughts and prayers you can spare are gladly appreciated. He will have his tonsils and adenoids removed, as well as tubes put in his ears. We’re hoping this will help cut down on the number of strep infections and ear infectios that land him in the hospital. My hope and prayer is that the surgery goes smoothly, without complication, and the recoery is quick. High hopes, right? But with the short stick that George has been dealt with, I think he deserves a run of good luck and complication-free life! 🙂 So keep those prayers coming! I think the activities of the last few weeks are kind of catching up to me. That’s the only way I can explain how I feel right now. I was going through some of my e-mails and other “office” type stuff when a tweet came across Tweetdeck that had a profound effect on me. Normally, I don’t let these kind of things bother me too much, because if I did, I’d be crazy. But this was a link to the article that Time did on the high cost of cheap food. Basically it was a piece written by someone who sits behind a desk, has food at their fingertips and never again thinks about where his next meal will come from. Come, spend 24 hours fighting the wind, snow and ice of a driving blizzard, while trying to carry calves or herd cows into a barn, just so that they are safe and protected in the storm. Then sit at the computer when you get in, while wondering if you should lay down for a few minutes, or just head back out, and while at the computer, read an article that claims that you don’t do enough to provide safe food. Then you can complain about where your food comes from. 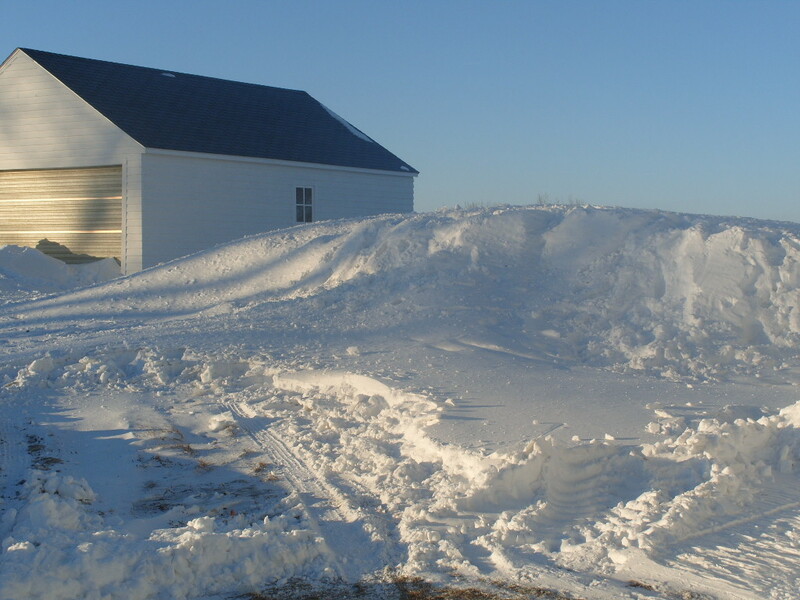 Now THAT’s a snow bank! Spend countless hours, weeks, months preparing to put your crop in. Spend every dime you’ve made in the last year, in hopes that you will make that, or maybe even a little more, in the coming year. Plant your seeds, watch it start to grow, take care of it the best you know how. And then watch as Mother Nature decides that she wants your crop…and have it wiped out in the blink of an eye. Then read about someone who thinks you should be happy enough with the fact that you’ll get paid a portion of what your crop was worth. That even though you have nothing to show for all of your hard work, it doesn’t matter, because you chose that line of work. That if you really wanted to, you could always get a job in town, never worrying about where food comes from, because the grocery store never runs out. Watch that unfold before your eyes…then you can complain about where your food comes from. Put in a 20 hour day, working from before sun-up to past sun-down, taking care of whatever comes up during the day. Spend countless hours outside, loading bales by hand, helping a cow deliver a calf, fixing fence, changing tires. Then listen as someone on the radio claims that the crops you raise are going to cause our children to die at a younger age. That our country is fatter because of the unhealthy food that is grown. All while the same people are sitting behind a desk for eight hours, children are in school longer and in activities less, homework consumes all available time after school, as opposed to activities outside, menial labor is seen as substandard employment and fast-food is the king of family meals. Listen to that all day…then you can complain about where your food comes from. All safe and warm inside, no matter what’s going on outside. 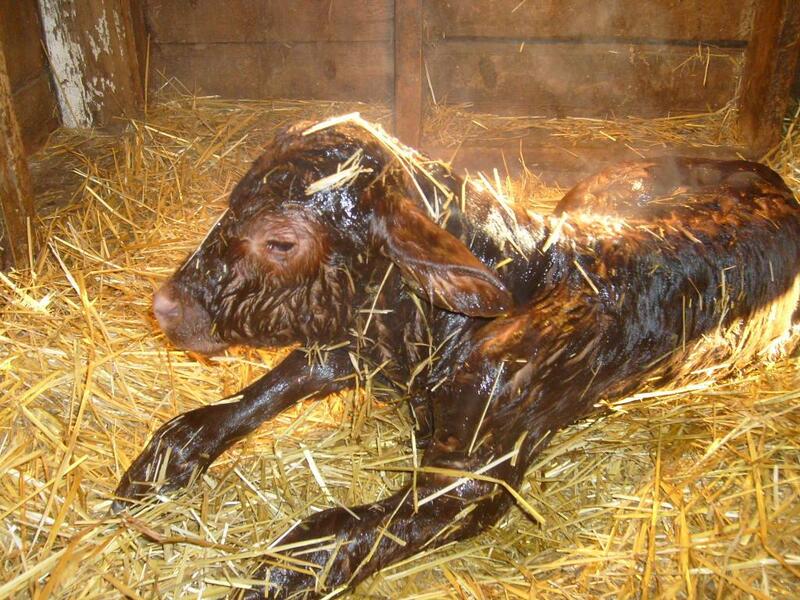 Watch your son’s first ball game from a video tape, celebrate your wife’s birthday two months late, walk into church while the second hymn is being sung…all because a cow was calving and needed help, you had one more round to make before the storm let loose, or the crop needed to be planted, sprayed or harvested. Have your life played out around seasons, weather and all things that you have no control over. Work in those conditions…then you can complain about where your food comes from. My family strives hard every day to make sure that our work ensures that the food we produce is the safest, healthiest and cheapest it can be for the consumer, as well as for ourselves. If we abuse our land, our animals or our crops in any way, then not only is our bottom line affected, but our whole lives are as well. Fortunately, we live in a country where people don’t have to do any of the things I’ve wrote above, and still be able to complain…loudly and publicly. People attack an industry they don’t understand, because it’s easier to lay blame than to accept it. But the ag-community is responding. Perhaps someday soon there will be more articles in the national news thanking our farmers, ranchers and those that work hard so we can provide for all. Perhaps. This entry was posted in Agvocacy, Farm life, Food freedom and tagged agriculture, agvocacy, farm life, farm questions, feeding the world, food choices, future farmer, life on the farm, why blog by wagfarms. Bookmark the permalink. Love this article! Its so true we farmers r all alike! Noone would understand unless they walk in our shoes! Sending good thoughts your way Val. Hope everything goes smoothly. You are such a trooper and have been through so much with your little men. I hope that I’m as good a mom to my boys as you are to yours. Good luck with George and prayers are on the way. If this doesn’t seem to help him…he may have food allergies. With all the craziness in WI, one thing I believe has been a good thing…more people are praying these days! Thanks for nailing that one on the head…we need more Ag-educated advocates for our industry…real-life experience is always the best! I do agree with you. Now more people are becoming judgmental because they lack information about agriculture. I hope someday they would understand how important this is to us. Good luck with George! Hope he is doing OK.